Not totally confident of how to post a sighting, but here goes. 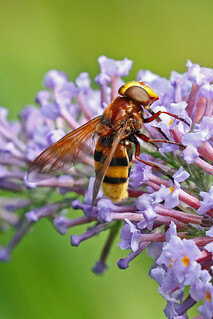 V zonaria observed several times today visiting a buddleia in the garden. Location is Higher Bebington, Wirral (lat:lon 53.35227,-3.02182). Think this might be close to its reported northern limit. Amazing insect.